The information from the bibliographic database used was compiled using the Clarivate Analytics Web of Science service (previously Thomson Reuters IP & Science Division). A scientific publication is generally produced through collaboration between researchers and therefore has several institutional addresses from different countries. The contribution of each country to the publication is considered here by counting 1/N for each address, with N the number of addresses in the different countries. In 2015, France showed a balanced profile in terms of fields of education which was nevertheless qualified by a major specialisation in mathematics. France stood out clearly from the United Kingdom and United States, which specialise more in Human and Social Sciences, and the Asian countries with a more divergent profile, as they are highly specialised in some fields of education and very little in others. France's profile in terms of fields of education has changed little between 2005 and 2015. It appears balanced, with specialisation indices for each major field of education of between 0.8 and 1.2 in 2015, with the exception of a marked specialisation in Mathematics (1.59). The apparent despecialisation in Social Sciences (0.58) could be due in part to the few publications by French authors in the journals chosen by the reference base (see Methodology). The specialisation indices are greater than 1 in Physics and Astro-Sciences and lower than 1 in Applied Biology and Chemistry. Over the period, France increased its specialisation index in Social Sciences and Astro-Sciences but despecialised in Chemistry (chart 46.01). The German profile in terms of fields of education is even more balanced than the French profile (chart 46.02). Germany appears to be more specialised in Human and Social Sciences than France, which means that the German publications in these fields of education are well referenced in the reference base. The United Kingdom has a far more divergent profile, with extensive specialisation in Human and Social Sciences (specialisation indices of 2.33 and 1.89) and little specialisation in Chemistry, Applied Biology, Mathematics and Engineering Sciences (with specialisation indices lower than 0.7). Like the United Kingdom, the United States is highly specialised in Human Sciences (1.67) and Social Sciences (1.48). It specialises in Medical Research (1.25) and Fundamental Biology (1.22). It has despecialised in Chemistry (0.56) and Engineering Sciences (0.65) (chart 46.03). The profiles of China and Japan in terms of fields of education show significant contrasts between major fields of education. China specialises extensively in Chemistry (1.78) and Engineering Sciences (1.55), whereas Japan is highly specialised in Physics (1.44), Chemistry (1.22) and Medical Research (1.22) (chart 46.03). Both these countries seem highly despecialised in Social and Human Sciences, but, as in France, this could be due in part to insufficient cover of the base. At a more detailed level, a review of scientific fields of education where France, the United Kingdom and Germany combine specialisation and an increase this specialisation can assist in clarifying the analysis (chart 46.04). The United Kingdom has increased its specialisation in Social and Human Sciences, especially in Law, Arts and Philosophy, Art and Architecture, Political Science and History and Archaeology, where the specialisation indices are greater than 2 and growing by more than 20%. Germany, and to a lesser extent France, have both increased their specialisation in Economics to achieve specialisation indices of 1.42 and 1.23 and are catching up on the United Kingdom (1.60). Germany has also increased its specialisation in Psychology, Political Science and History and Archaeology. France, Germany and the United Kingdom have increased their specialisation in Astronomy and Astrophysics (specialisation index greater than 1.3) and in Neurosciences and Behavioural Sciences and in Geosciences. France is increasing especially its specialisation in Reproduction and Life Biology (1.26, + 38%), Bioengineering (1.14, + 28%) and Information and Communication Sciences and Technologies (1.21, +17%). 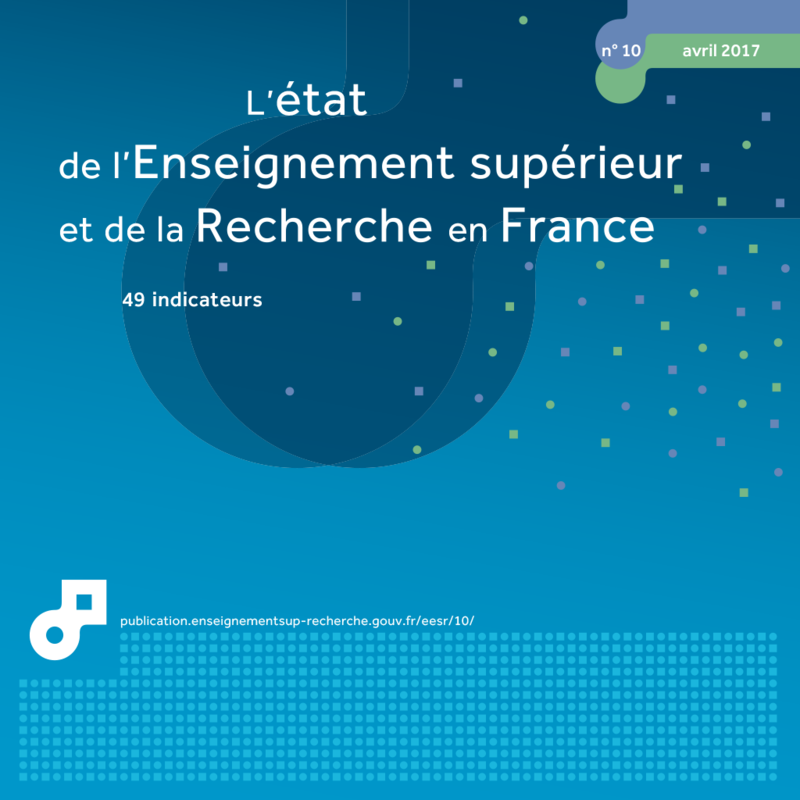 French publications have an impact index higher than the world average in Applied Biology (1.41), Astro-Sciences (1.18) and Physics (1.12), but this is lower than average in Human Sciences (0.73) and Social Sciences (0.87). The impact of French publications in Mathematics is close to the global average. United Kingdom publications have more impact than the French and German publications in all the major fields of education, including those where there is little specialisation. Germany has a higher impact than the world average in all fields of education except Engineering Sciences (table 46.05). Extract from the chapter "46. France's scientific profil through its publications".